Simon Van De Voorde is heading to Iran, signing to play with Paykan Tehran VC. The 6’8” (208 cm) middle blocker played with Diatec Trentino since 2015, after previously wearing the uniform of VC Averbode, Noliko Maaseik, Jastrzebski, and Andreoli Latina. He won silver medals with Trentino at the 2015/2016 CEV Champions League and the 2016/2017 Italian Championships. 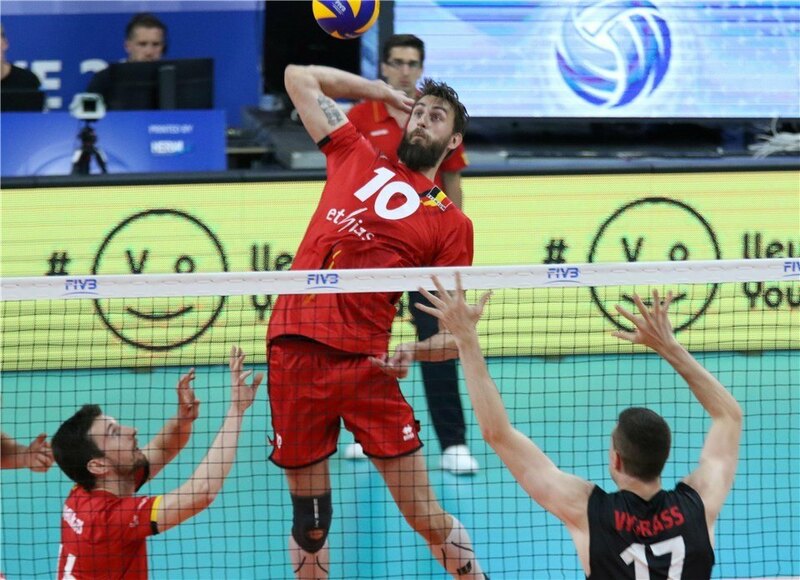 Van De Voorde most recently spent time with the Belgian national team during the FIVB World League. He finished the tournament as the seventh best blocker, collecting 0.54 blocks per set on 20 stuff blocks. In addition, he finished with a .246 hitting efficiency on 31 kills. Belgium started the tournament strong, winning pool B1, but tailed off in the next two rounds and finished 7th overall, just missing the final round. The 7th place result was the best in Belgian volleyball history at the World League. Van De Voorde will be teaming up in Iran with Saeid Marouf, widely regarded as one of the top setters in the world. Paykan is the most successful team in Iranian volleyball history winning 12 Super League championships, most recently in 2015. They finished runner up in 2016 and again in 2017 losing to Sarmayeh Bank. In addition, they have won 7 Asian Club Championships. In 2015, Paykan finished fourth at the FIVB Volleyball Men’s Club World Championships.